Preheat oven to 450 degrees, with racks in upper and lower thirds. On two large baking sheets, toss 1 head cauliflower (2 pounds), cut into florets, with 2 tablespoons extra-virgin olive oil; season with coarse salt and ground pepper. Roast until tender and browned, 20 to 25 minutes, rotating sheets halfway through. Meanwhile, in a food processor, combine 2 slices white sandwich bread and 1 garlic clove, chopped; season with salt and pepper. Pulse until coarse crumbs form. In a medium skillet, heat 2 tablespoons oil over medium. Add breadcrumbs and cook, tossing frequently, until toasted, 3 to 6 minutes. Transfer to a small bowl and let cool. Stir in 2 tablespoons finely chopped fresh parsley, 2 teaspoons chopped fresh thyme leaves, and the grated zest of 1 lemon. 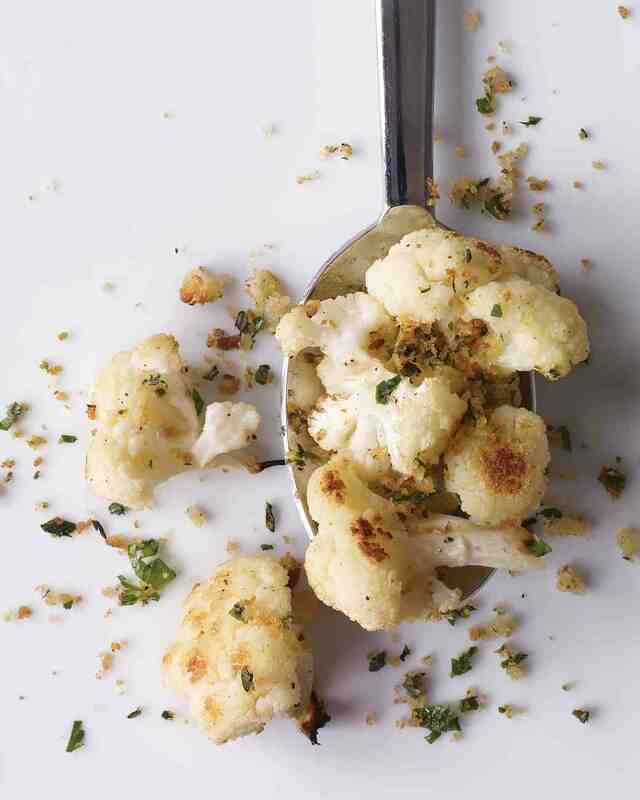 Toss cauliflower with juice of the lemon and sprinkle with breadcrumbs.